furocious studios™ » Testing eBooks! Home » Art Images » Testing eBooks! The proof is on it’s way from the printers. 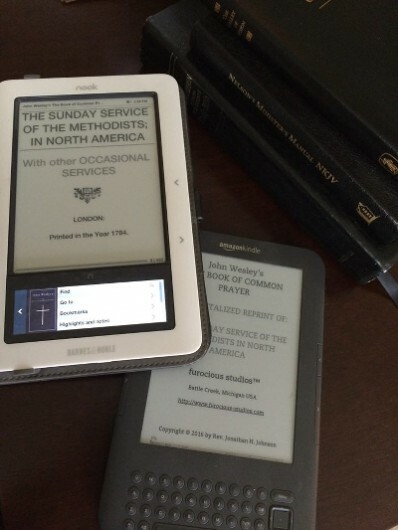 We are almost finished with the digital version of John Wesley’s The Book of Common Prayer. Here is an image of it running on Nook and Kindle. For details about this project stop by the John Wesley’s BCP page.